Is Ukraine entering the era of the electric car? Worldwide, we are experiencing an earthquake in the automobile industry. 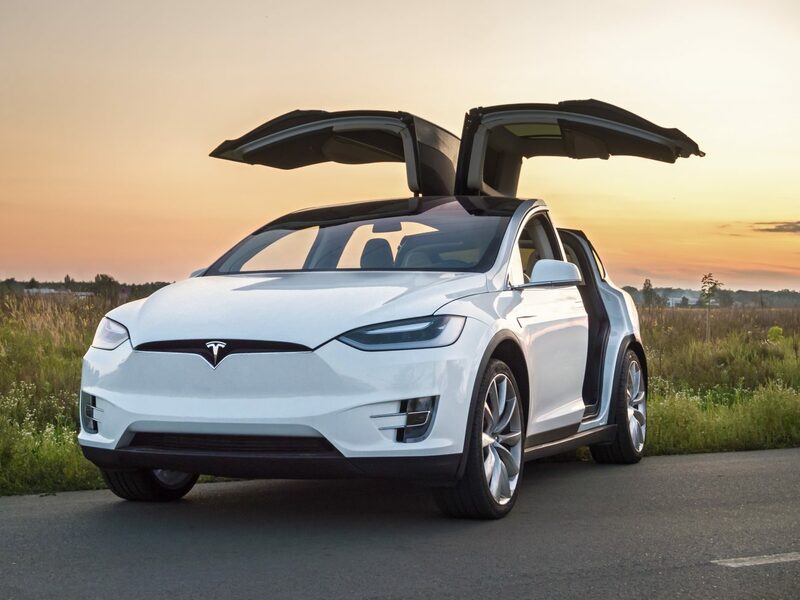 The electric car – once a small and sluggish box – is officially set to replace the internal combustion engine vehicles that we know. As governments around the world bet big on electric vehicles, money is channeled into charging infrastructure, car prices drop and ranges increase, ever larger numbers of drivers are opting for ‘cars with a plug’. Already, there are more than two million electric cars on the roads (40% of which were sold in China in 2016). European countries such as Britain, France, Germany and Norway all aim on going fully electric in the next few decades. And it’s not just car enthusiasts with niche interests who are switching to electric. While Ukraine had just a handful of electric vehicles on the roads in 2014, parliament’s decision to scrap the 10% import duties in 2015 has resulted in a surge in the number of electric vehicles. In 2017 there were 4,000 (that’s approximately the same number as in Australia) – with 2,400 registered between January and October that year alone. Today, there is even an electric taxi service – ‘Oxy-Taxi’, run by Oxygen Group – in Kiev, and the country’s police force is also embarking on its journey towards electric with its recent delivery of hybrid SUVs. Yes, numbers may still seem relatively low – especially when compared to a country such as Norway where nearly a third of all new cars sold in 2017 was a plug-in vehicle – but with this pace of adoption, experts have their eyes on Ukraine. The Verkhovna Rada has not just voted to scrap the 10% import duties on all cars with electric motors. In December 2017, the country’s politicians went even further when they voted to amend Ukraine’s tax code, opting to cancel VAT and the excise tax on the import of electric cars throughout 2018. This is a big step, matching market leaders like Norway, and will offer substantial savings to buyers and help make electric cars increasingly affordable. But beyond price, experts also believe it will help to create a more developed, fair and transparent market which is easier for customers to navigate. “The introduction of this law will encourage official dealers and companies offering official repairs and servicing to enter the Ukrainian market, which itself will become much more competitive with more brands available. As a result, clients will be able to gain a better understanding of electric vehicles, particularly the difference between new and secondhand cars – and we will gradually see an improvement in the level of education amongst buyers,” explains Abduraimov. Electric cars are still more expensive to buy than their traditional counterparts – some cars could set you back more than $100,000. However, as manufacturers race to grab a slice of the electric market and battery prices drop, cheaper vehicles are appearing on the global market. In Ukraine, the Nissan Leaf now retails for approximately $1000-$1500 more than a standard conventional vehicle. And those extra dollars may well be worth it in the long run. Cheap to maintain (electric vehicles don’t have gears or exhaust systems and don’t need oil changes) and cheap to run, electric cars can also offer serious long-term savings to those who wish to fork out the initial cost. The number of cars may be rising, but what is the state of Ukraine’s charging infrastructure? Ukraine’s network of charge points and charging stations is certainly growing, although most would agree that there’s still some way to go. Since the first charge point was opened in 2012 in Kiev, there are now well over 600 charging devices across the country – 25% of which are in Kiev. These include free charge points at shopping malls, and outside bars, restaurants and cafes. However, most of these chargers are only hooked up to 220-240 VAC (Voltage in Alternating Current) and with few available ‘superchargers’ which operate on a much higher voltage, the time needed for a full charge is still lengthy for most users – 6-8 hours in fact. Moreover, as Abduraimov explains, “there are very few municipal superchargers, and those superchargers which are available belong to various enterprises where payments or club cards are needed.” Those wishing to use their cars for long journeys throughout Ukraine will, therefore, need to plan their charges well in advance and “charge cars at home overnight so that the cost of charging is simply added to the regular domestic electricity bill,” says Abduraimov. Are there any other challenges for the EV market in Ukraine? Some countries offer incentives to buy electric cars. Is there anything like this available in Ukraine? It is true that in their efforts to meet strict emissions standards, certain governments around the world are now offering incentives to help drivers make the move to electric. In the UK, where the government has pledged to end the sale of gas and diesel vehicles by 2040, grants of up to £4,500 and substantial discounts on the installation of home charge points are available for road-users buying electric. France is even more generous, offering grants of up to €10,000. Norway, meanwhile, has been offering incentives since the 1990s and it has clearly paid off: there are now 121,000 registered electric cars in the country of just 6 million people. Unfortunately, other than scrapping import duties and VAT, there are currently no cash incentives available in Ukraine to assist drivers in making the move. Some campaigners have called for greater levels of governmental assistance, but these calls have so far not been actioned. With a host of benefits, from helping the environment, saving on fuel costs, ensuring Ukraine’s energy independence and even helping out Ukrainian manufacturers, the electric revolution may hit Ukraine sooner than you think. 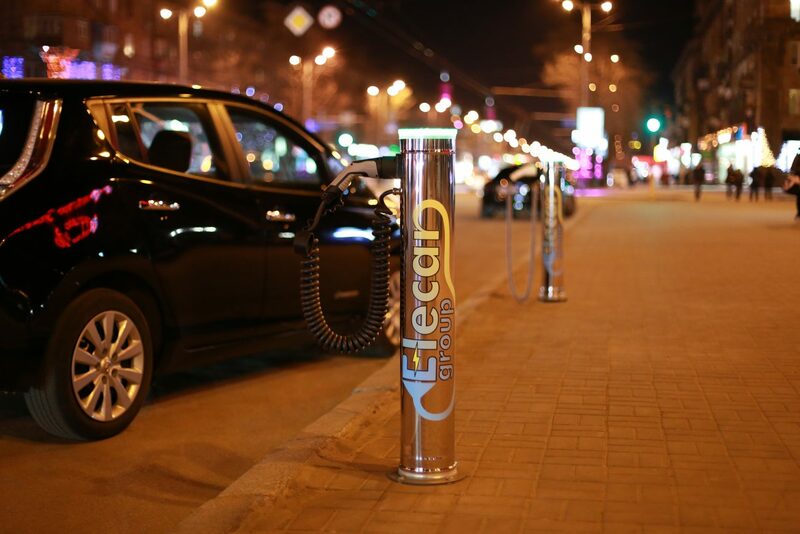 Elecar group is a producer of electric vehicle charging stations based in Zaporizhia, Ukraine. Elecar group was founded in 2016 (as an offshoot of an electrotechnical company that has been operating since 2008) with the goal of helping car owners minimize car maintenance costs while reducing their impact on the environment. For many years, Elecar and its parent company have been producing the necessary electrical products, electrical fixtures, mechanical components and automation systems, as well as carrying out testing and calibration. After investigating growing market demand for electric vehicle charging stations, the company began developing its own charging device, emphasizing contemporary design, ergonomics, operating convenience, and an accessible price. To make all that happen, the company has applied to its designs modern rust-inhibiting materials, components produced by leading global manufacturers, and the cumulative knowledge and experience of Elecar group engineers. The result was the introduction of a wide range of charging station designs, from portable domestic units to public and commercial versions, with a regulated capacity ranging from 3 to 22 kW, and single-phase or three-phase chargers. Each has a range of options equal to that of other charging stations available on the international market. These electric vehicle charging stations are certified with an IP65 rating and are equipped with overtemperature protection and ground fault circuit interruption systems 15ma – 20ma, safety interlocks, pilot signal, ground monitoring, welded contact detection, self test power-on and before energizing, throttle, electric vehicle ID, ventilation check. 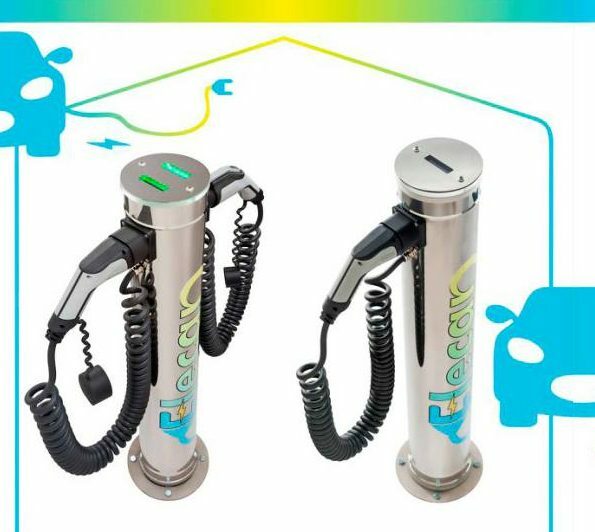 One prominent feature of Elecar group charging stations is a “client-oriented” card payment system, which allows a driver to pay for charging simply after scanning the QR and choosing the duration of charging (one, two or three hours), with no need to create an account or use a magnetic-strip card. Zaporizhia city, 17 Persha Lyvarna Str. VLS Energy is a young, fast-growing company, founded at the beginning of 2017, that’s charging ahead in the expanding market for electric charging stations in Germany and Ukraine. 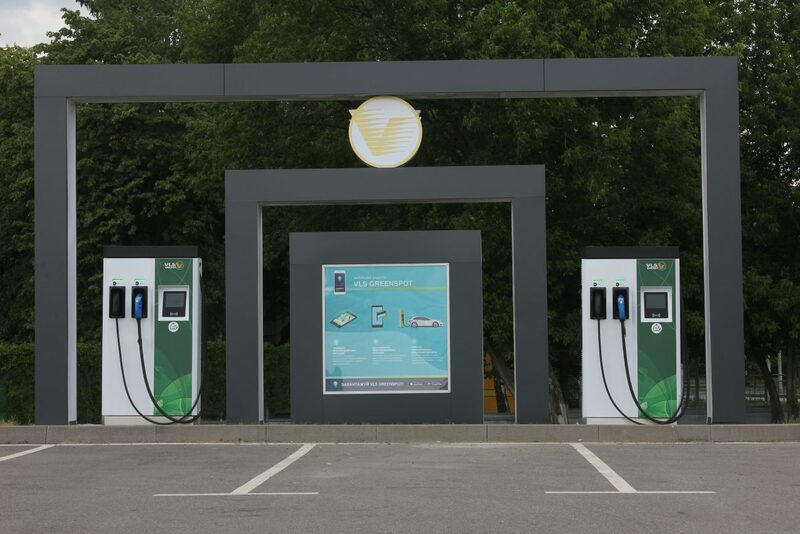 Powered by the rapid development of electric cars and the scarcity of fast-charge services for such vehicles, VLS’s network in Kiev and Kiev Oblast has quickly grown to 20 EV charging stations and 11 locations. Charging a Nissan Leaf, currently Ukraine’s most popular electric car, takes about 30 minutes at a 50kW charging station (available at Kyiv Airport Zhuliany (Terminal A); BILLA in the Pozniaky neighbourhood (3 Mykhaila Hryshka Str. ), and Socar Boryspil (at 29 km on Boryspilske Highway). A charge costs around UAH 120-160, depending on the battery status. VLS Energy is a distributor of the European brand Circontrol, but operates as a full-cycle business, selling and delivering charging stations, performing the setup, and putting the equipment into operation. Even better, VLS has its own software that allows it to monitor, control and monetize charging services through a mobile app called VLS Greenspot (works on Android and iOS). 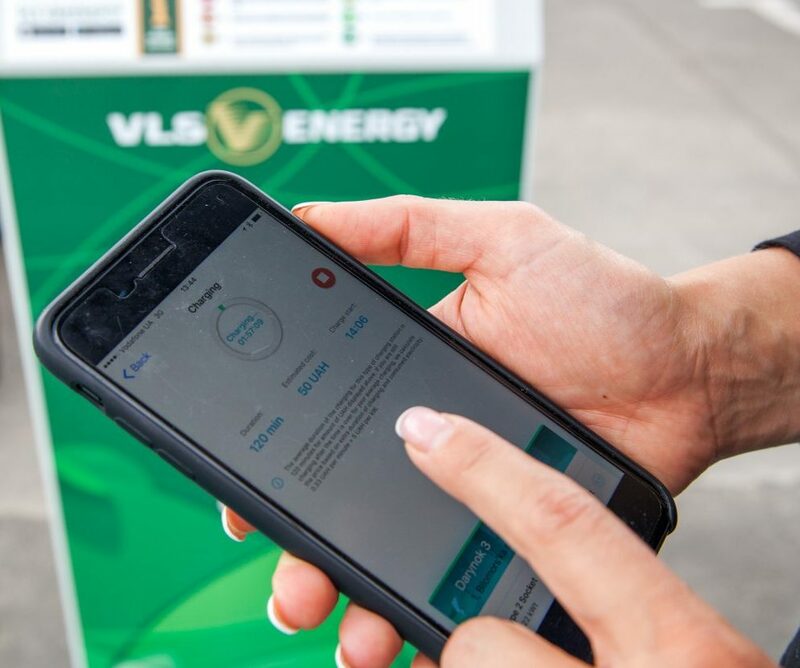 All that, together with the simplicity and transparency of transactions, makes VLS Energy a highly competitive player in the charging station market. As a result, the company has launched a rather complex business from scratch in less than a year. During the eMobility Expert Meeting, an international forum organized by Circontrol, VLS Energy competed along with 104 other companies from 38 countries, winning in the “public charging stations” category ahead of Britain’s Tokheim and EVolt (Swarco UK). “The development of electric cars is a worldwide trend that is constantly growing. And for Ukraine, thanks to the cancellation of VAT, 2018 should mark a breakthrough year, helping us leap to a totally new level,” says the Head of VLS Energy project in Ukraine and Germany, Volodymyr Smirnov. 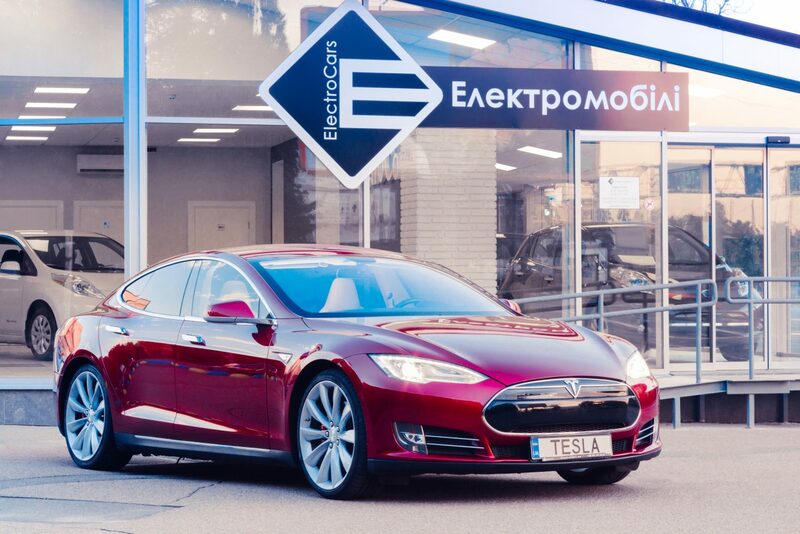 ElectroCars is an EV auto center that imports cars from the United States as well as a specialized maintenance service for electric cars and an operator of Kiev’s first public supercharger of certified European production, offering 24/7 access. It is a pioneer of the electric-car movement and a co-founder of the Association of Electric Vehicles Market Participants of Ukraine. The company was launched as a startup three years ago, immediately after the Ukrainian revolution of 2014, with the idea of promoting electric vehicles as a way for Ukrainians to limit their dependence on fossil fuels. Using electricity to fill your “tank” is smart thanks to its low cost. 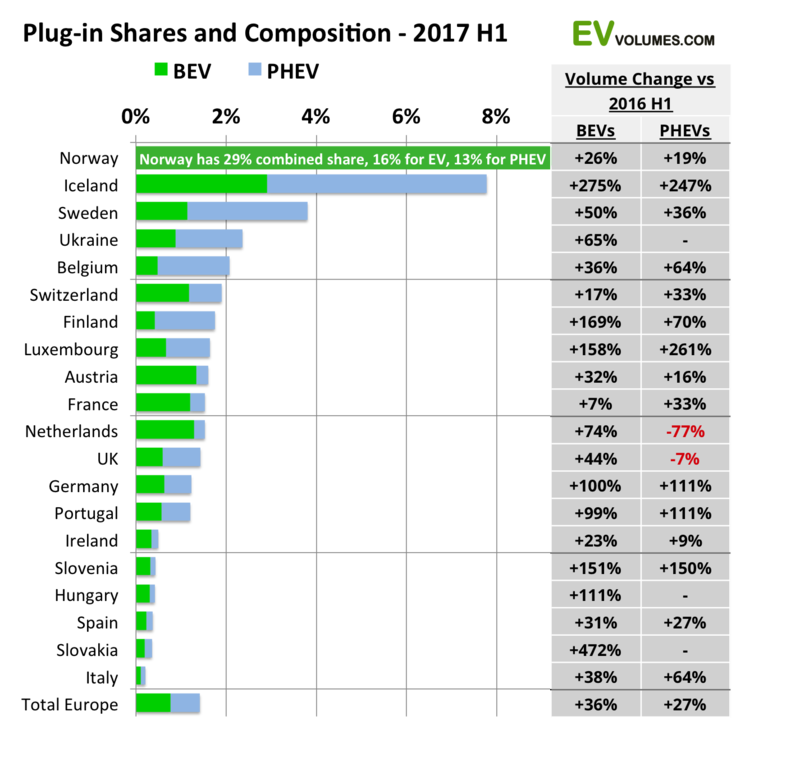 Currently, ElectroCars is concerned with EV sales, rental, maintenance, trade-ins and charging. Last year, ElectroCars registered its own company in the U.S.—ElectroCars USA LLC—so now it operates without intermediaries and is directly responsible for controlling delivery from five U.S. ports. 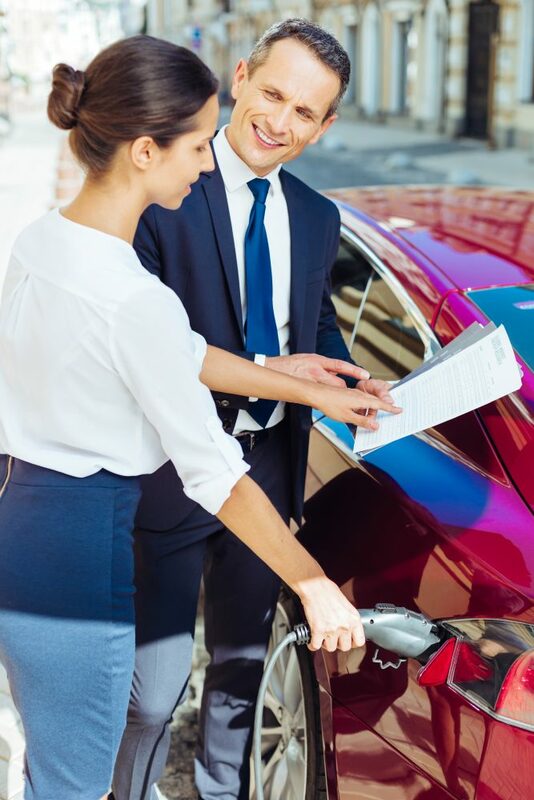 “While buying the car from a large company, the client benefits from guaranteed delivery terms, control at every step, and maintenance service in the future,” the company explains. In September 2017 the company acquired a competitor, the conceptual EV center ECO CARS (12 Lugova Str. ), which had become a market leader in the EV segment and had sold about 100 electric cars in Ukraine, mostly in Kiev. Later in November, ElectroCars was chosen by the European Bank for Reconstruction and Development as a recipient of Climate Innovation Vouchers, which will help to develop a billing system for electric vehicle charging stations. “At ElectroCars, we now resell electric cars in our two big auto centres, have started to offer maintenance support for EVs, and are getting ready for an infrastructure boom after the Verhovna Rada (Ukraine’s parliament) adopted amendments to the tax code aimed at ensuring the balance of budget revenues in 2018, which allowed electric vehicle imports free of VAT and excise taxes for a period of one year,” says the co-founder of ElectroCars, Oleksandr Kravtsov.